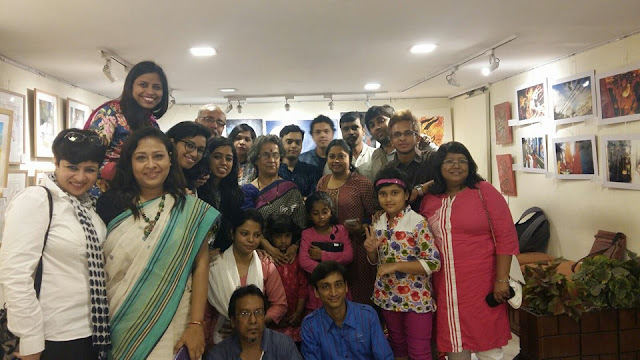 An experience into the world of passion of the creative impulse and the struggle of emotions. Who would win? What is the story? What is Rasia? "Two women wait for him at two different ends of the crossroads....," this can be the opening scene of another predictable story, another emotion which we have gone through so many times but therein lies the problem. 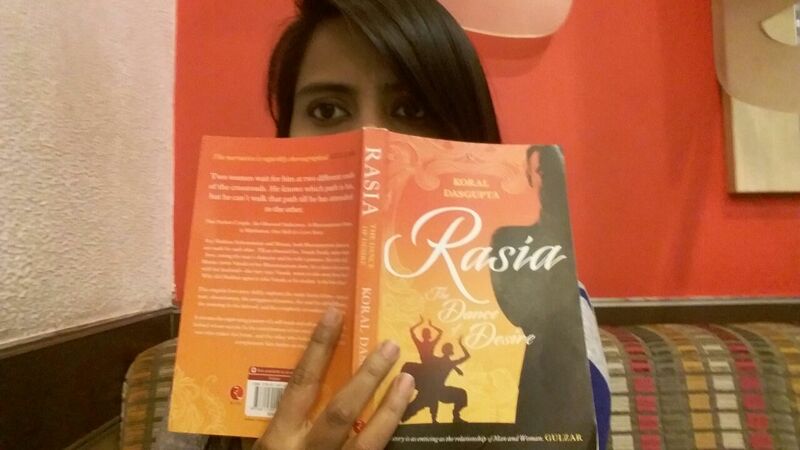 Not all stories talk about the same things, some stories hold you strongly, making you crossover to a world you had never seen before and Koral Dasgupta, the storyteller who has made it her life's purpose to take stories to millions across the globe does the same with Rasia. She tells a story so real, so fascinating that I almost forget this world and live in the symphony of the rhythmic beats of the mridang, gungroo , Bharatanatyam and the passion of creative souls. Is it the look and feel of a fresh story, or is it the enticing smell of the building suspense of a novel in hand that bends me to open its pages and explore a different version of reality altogether everytime. This is the magic of a good story, the lessons and experiences of varied emotions that I go through in the echoes of the night, reading Rasia leaves the imprinted words on my soul. It would be hard to explain the work that goes into writing one hell of a story and the kind of uplifting adventures one gathers from them is worth the time and effort. And any story that doesn't live in the heart forever isn't the one I talk or write about for that matter. 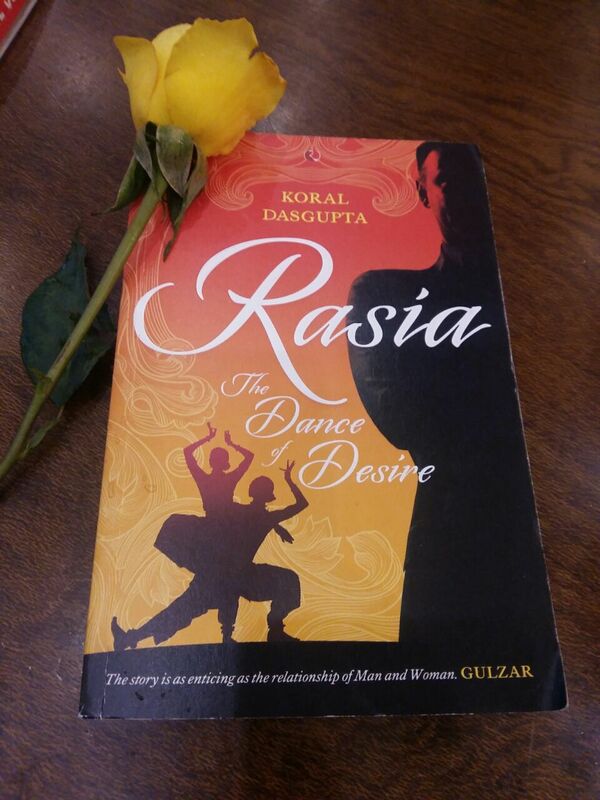 Shekhar, Kalamandir, Mansi and Vatsala, and Desires are the thread to a more complex but humane characters unfolding their life through the poignant and passionate eyes of the dancers and the dance form. I have liked all three characters of this story folded in the stories of other lives like petals in a flower. Each reader is completely different from the other but I am sure that you would find yourself and your life's reflections and the passion quite identifiable and relatable here. In different situations all three where are weak as well as strong because its always relatable to see yourself in each of them and I strongly feel free to ask any further questions with regard to their dreams and dedication. I see the characters unfolding through episodic events, desires that further fuels their life's decisions nudges the story slowly to reveal the mystery. And I savour the flavours delightfully, I do agree that each of them tested my patients and limits forcing me to think beyond the stereotypical notions of right and wrong. In their greys, they are as humane as possible and I have with ease liked and disliked them at the same time. Who is the protagonist and where the story was headed to? I couldn't find it until the end of the story and you would have to read it for yourselves to find out. The style of the dancers, the conflicts of interest and passionate seclusion of lusty pursuits does give it some edge thus giving it the shape of a person with flesh and blood. They couldn't be without flaws and admirable traits which is what a good storyteller is capable of weaving. Poetically the mysteries of desire and strong visions laced with fear run in the undercurrents of the story, here mind plays an important role which forces me to delve deeply in the psychology of the human mind and emotions, it cannot be controlled or caged and therein lies the irony as each one here is trying to control it. The demons that haunt Shekhar isn’t without a purpose, it's equally tormenting Manasi and Vatsala, and their past and future are rolling in the hands of the cruelty of Fate. Shekhar is focused,stern, strong headed, at times soft hearted and loving but always in control of his emotions, a towering perfectionist often forcing his colleagues to work harder in his vision of a magnanimous future for Bharatanatyam through the discipline of dance; Vatsala is demanding, scheming, loud mouthed, vindictive, dominating and always the one to think of herself and her desires first, she comes off as someone who is determined to get what she plans and at any cost; Manasi is loving, caring, nurturing, humbling, dutiful and always bringing the strength of Shekhar in the forefront and standing beside him in the turmoil of life often forgetting her own individuality. “If I am not allowed to take what I deserve, I steal it in style”-Vatsala while performing the Lady of Shallot ballet mirroring Manasi's iconic Manipur Stotram triggers the blinding craze for dancing and a flood of emotions in Shekhar. He confronts his conflicts and his journey is something to be inspired from. At this point I begin to have an image of Shekhar’s reaction, will he succumb or confront to what is dangerously caving around him threatening his very control of the life he had build for himself and his dreams? “ We walk separately but our shadows touch each other more than once,” this makes Vatsala more vocal to her demands while Manasi appears as accepting and submissive one. If one is a warm welcoming breeze, the other is the turbulent storm ready to engulf anything threatening its set course of destruction and I could see Shekhar standing in the middle of an unexplained circumstance in which even he seemed helpless yet determined to face with courage. Both the women are shades of desire, submission, passion, love and lust, conflicts and secluded conclusions, in short opposites running parallel with the life of Shekhar. In a way Shekhar begins to understand his dominating nature that might have subdued the individuality of Manasi while answering to Vatsala’s simple demand of respect and acceptance. Have I respected her enough? And he begins unconsciously comparing the two -the unexpected beginning of this story folded perspectives. While I read, a writer, a poet, an artist, a critic takes a backstage and I only become a reader. A reader who never losses the grip rather keeps the pace rolling like parallel entity to a story- a reader is an observer. What is the best thing about this novel is that it treats Bharatanatyam not with a religious eye but with an eye of an artist. Emraan and Ali, the reflections and the image itself, totally opposites in nature yet bonded with the love of Bharatanatyam together are the finest examples. It's not surprising to me that these two men of another religious belief so dedicating at their craft practise this art form- the dance of the soul because being an artist I know it reflects our deepest philosophy that we are artists first belonging only to our passion and the universe alone. Our vision is to champion the greater cause of life itself fuelled by what makes us human-passion of mastering what the hearts always follows, art in itself. I have become very choosy as I love stories and I have this really bad itch of tearing a book apart if I go through a bad narrative, language, story plot or anything that tells me the writer just wrote another breakup traditional love story to be read widely. 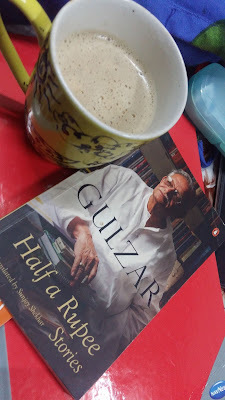 But writers now a days can't be blamed neither can the publishers who publish these fast fiction as literature, given they like to follow the footsteps of mass taste which I must say has lowered the value of a good story teller and good stories. The narrative style is sharp, language is simple and the plot is smartly woven. This book is a well researched work of fiction which has heightened my understanding of this art form in the chaos of modern day disco and fast dance, I have felt peaceful reading this. It's our responsibility now as writers to change this trend and authors like Koral Dasgupta are our torch bearers. Rupa Publication in this divided era has been supporting good narrative which we are grateful about and we would have nothing more to complain in future too. Keep giving us gems like these and expecting amazing stories from the author.